Dr. Quieti came to AUR after 26 years of professional experience at the Food and Agriculture Organization of the United Nations (FAO). She worked with governments, academic/research institutions and civic organizations on education programs and technical assistance on sustainable food and agricultural development policies and programs. Her career spanned the globe, managing projects in Asia, the Near East, Sub-Saharan Africa and Latin America. She was responsible for the participation of more than 800 civil society organizations at FAO’s World Food Summit in Rome in 1996 and, as Senior Policy Officer, the training of country delegates for negotiations on agriculture with the World Trade Organization (WTO). From 2007-2013, she served as Executive Director of the U.S.-Italy Fulbright Commission where she managed and developed academic programs between Italy and the United States. 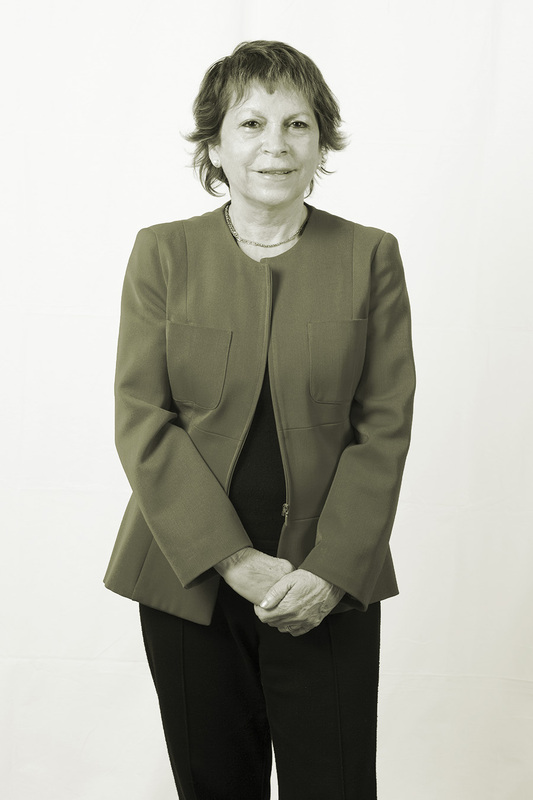 Dr. Quieti’s areas of research and interests include: sustainable food systems; rural development; WTO negotiations; communicating and building partnerships with civil society; and small-scale investment projects. She joined AUR in 2013, is the Founding Program Director of Food Studies, and served as Dean of the University and Dean of Graduate Studies. She holds a PhD in Social Sciences, Cardiff University, UK; MA in Public Administration, Harvard University, USA; and BA in Cultural Anthropology, Università degli Studi di Roma La Sapienza, Italy. As Director of the Master in Food Studies, Dr. Quieti manages and coordinates all faculty teaching in the Master’s program. She teaches a course on ‘Food, Environment and Society’ at the Master’s level and one course on ‘Food and the Environment’ at the undergraduate level. Since joining AUR in 2013 as Dean of Graduate Studies, Dr. Quieti’s major task has been the development, MSCHE accreditation, launching and consolidation of the graduate programs at the University. Served as Member of the Scientific Committee of the XII International Forum of Studies titled S.A.V.E. Heritage (Safeguard of Architectural, Visual, Environmental Heritage) (2011-2014). Prepared a medium-term strategy plan for the Fulbright Program in Italy, in consultation with the U.S. Embassy, the Italian Ministry of Foreign Affairs and the Board of Trustees. (2007). Managed a training program on multilateral trade negotiations for 180 countries, in collaboration with economists and trade experts from both developing and industrialized countries. (2000-2006). Was a member of the evaluation team of the FAO’s strategy “Broadening partnerships and alliances” (2005). Prepared the FAO strategy for the participation of non-governmental organizations in the first World Food Summit (1996). Prepared directly, or managed the preparation of texts of global relevance on agricultural policies (Agricultural Development Policies. Concepts and Experiences), international trade (Resource Manual on Multilateral Trade Negotiations on Agriculture), decentralized development planning (Training for Decentralized Planning: Lessons of Experience) and training of trainers (Trainers’ Guide: Concepts, Principles and Methods of Training). These texts were translated in different languages and used by universities and public administrations of different countries. 2011 Fulbright-CRUI Seminar on Internationalization of Higher Education and U.S.-Italy Academic Exchanges. 2010 “The Fulbright Program: from Binationalism to Globalization” . 2009 “Il Programma Fulbright English Teaching Assistants 2007-2008”. 2009 Foreword (in Italian and in English) in Proceedings of seminars on John Dewey. 2008 “60 anni del Programma Fulbright in Italia”. 2005 Editor “FAO Capacity Development Activities: Examples of Successful Case”. 2003 “Capacity Development for Policy Analysis” in Institution Building for Agricultural Policies in the Near East, FAO. 2000 ‘Natural resources and environmental analysis for local level planning: a case from China’. 1995 ‘Environment and sustainability in decentralised development’ in Environment and sustainability issues in agricultural policy and planning, UNEP/Ministry of Agriculture, Natural Resources and Environment, Cyprus. 1987 Co-authored FAO publication Training for Decentralized Planning. .
1987 “Niger case study” in FAO, Training for Decentralized Planning. Dr Quieti’s areas of research and professional interest include: sustainable food systems; rural development; WTO multilateral trade negotiations on agriculture; discourse analysis and policy-making; communicating and building partnerships with civil society organizations for policy and planning; gender analysis in projects and policies; economic and social development planning at local level and participatory planning of small-scale investment projects. Dr. Quieti has also direct experience and expertise with US and Italy education systems.